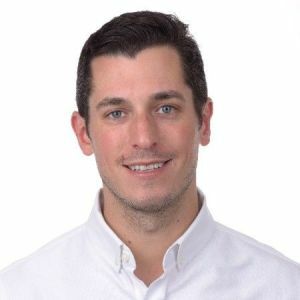 Prior to joining Whitecap, Russell was a Senior Manager on the Corporate & Business Development team at Freshbooks, a growth stage startup and North America’s 2nd largest cloud accounting provider. At Freshbooks, Russell led a number of strategic efforts including: restructuring Freshbooks’ portfolio of 3rd party payment gateway relationships, leading Freshbooks’ strategic integration & relationship with Google and leading diligence on a broad range of strategic partnerships and opportunities. Prior to Freshbooks, Russell spent nearly three years as an Associate at Mantella Venture Partners (“MantellaVP”), a $20M seed stage venture capital fund in Toronto. At MantellaVP, he worked on a number of new and follow-on investments including: SurfEasy (Acquired by Opera Software), Joist (Mobile Accounting for Contractors), Shopcaster (Local Commerce), Flixel (Cinemagraph Platform), Crowdcare/Wysodm (IoT Customer Support), Brave Commerce (Acquired by Rogers, TSX: RCI) and others. In addition to his investment responsibilities, Russell spent a substantial percentage of his time “embedded” inside of portfolio companies including: Brave Commerce, Surfeasy, Shopcaster and Unata . Prior to joining Mantella Venture Partners in July 2011, Russell spent 2 years as an Analyst at Canada Pension Plan Investment Board (“CPPIB”) in the Private Investments group. At CPPIB Russell worked on three investment teams: Infrastructure, Funds & Secondaries and Principal Investing. Prior work experience includes Bank of America and ONCAP (ONEX Small Cap Fund).